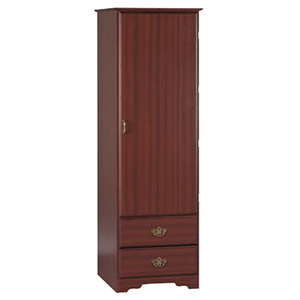 Torrington Laminate Wardrobe with 2 Drawers 22"
The Torrington collection showcases traditional Georgian styling constructed in high-pressure laminate with solid wood edges on doors, drawers and tops. Laminate with wood edge on top and drawer edges with high pressure laminate top. Drawers are vinyl wrapped and have positive stop drawer guides.